Many New York City school districts lack the resources needed to keep students healthy. Many do not even have access to green spaces; recess consists of a mere walk around the block. This lack of basic needs plays directly into the some 85% of students who do not meet the recommended physical activity level nationwide. Through Row New York Youth programs, athletes learn the crucial importance of a healthy lifestyle, and 100% of its participants meet this recommended physical activity level. 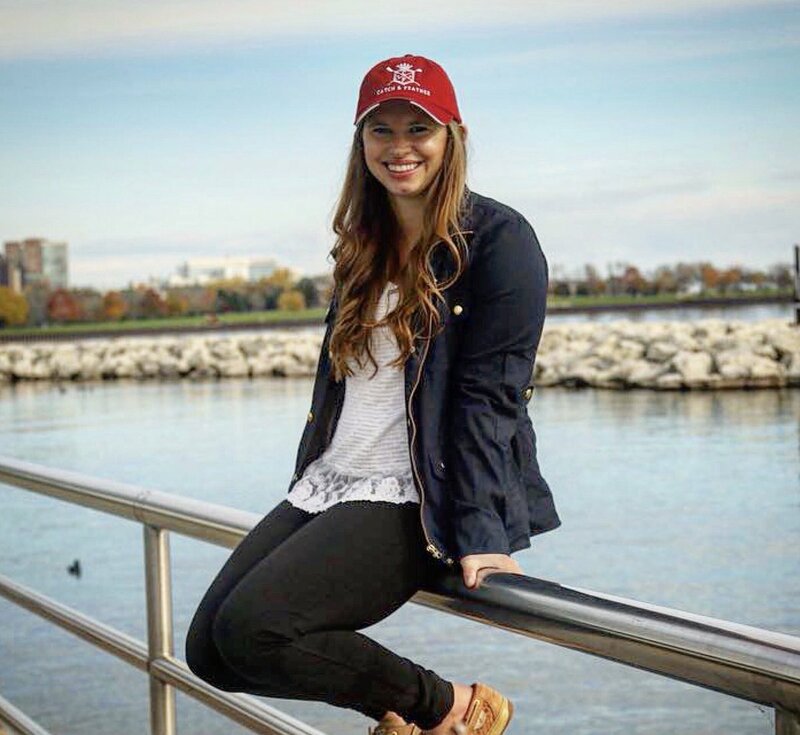 Rowing also instills the confidence, discipline and mentality that helps teens develop and mature, all the while providing an irreplicable sense of community and family. Row New York Youth programs also provide students with tools to succeed, offering academic counseling and help with standardized testing. “An incredible 100% of Row New York athletes graduate high school on time, compared to 69% of NYC high school students,” said Lyon. Additionally, over the past 10 years, 96% of Row New York’s graduates have matriculated to college. Whether it’s providing homework aid, SAT/ACT Prep, or a hot meal, this program is a second home to its athletes. 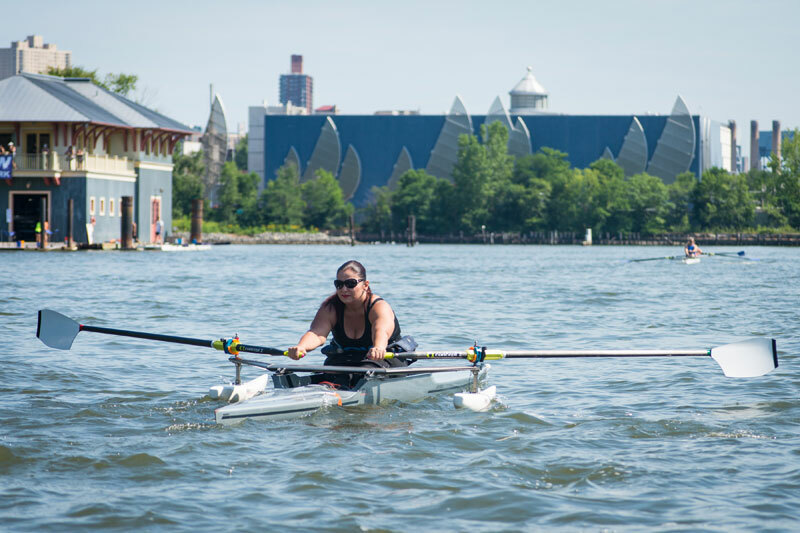 In addition to its main competitive youth program, Row New York has a number of outreach projects that greatly benefit the New York City Community. Middle School Indoor — a “traveling” program for New York area middle schools — teaches students the mechanics of rowing, how to erg and how to live a healthy. The Juvenile Justice program does the same for young adults in detention centers. Rowing offers them an outlet for releasing energy in a positive manner, as well as the opportunity to be part of something bigger than themselves. Both of these programs have changed the lives of many young people. Another important piece of the mission-based programming at Row New York is their adaptive rowing opportunities. Every Saturday, the boathouse in Queens hosts people with physical and mental disabilities. Row New York also works with District 75, a New York School district comprised of 57 special schools designed to help and teach students with disabilities. 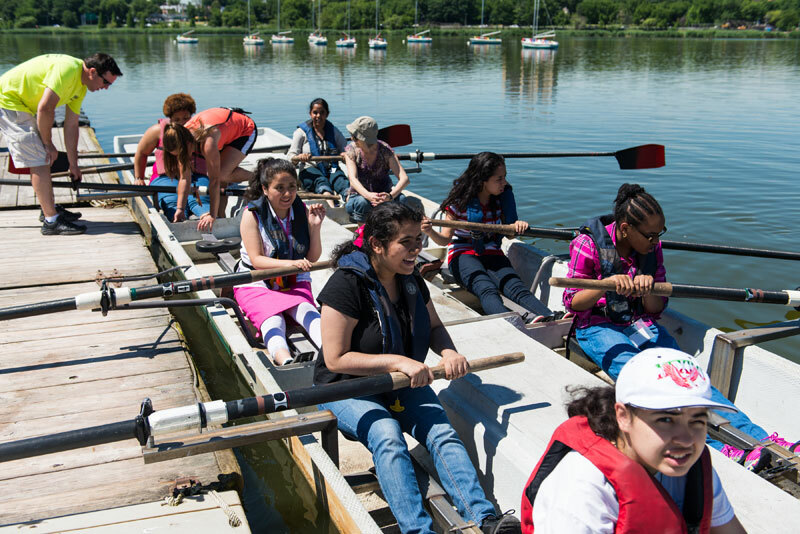 Similar to Middle School Indoor, Row New York partners with District 75 in teaching students how to erg and row on water with their on-site visiting program. Row New York’s new Freedoms Rows program kicked off its first season several weeks ago. Freedom Rows is branch of USRowing that teaches disabled veterans and members of the armed forces how to row. As we have discussed in earlier posts, rowing is an incredibly therapeutic sport — both physically and mentally — and Freedom Rows greatly benefits its participants. 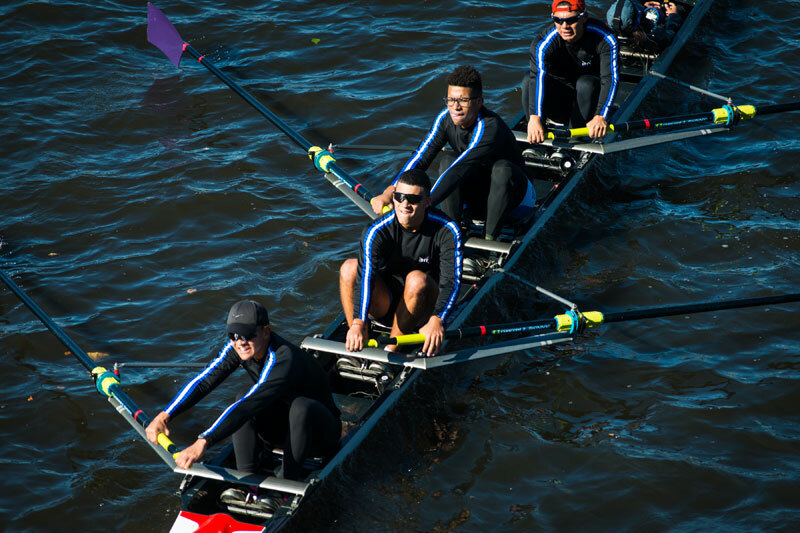 Not just for students and young adults, Row New York also offers masters programs, recreational and competitive, as well as learn-to-row programs for those who want to get involved in the sport. The masters programs help fund the mission-based youth and adaptive programs, making Row New York one big family. Row New York is not a club or program, but a home. 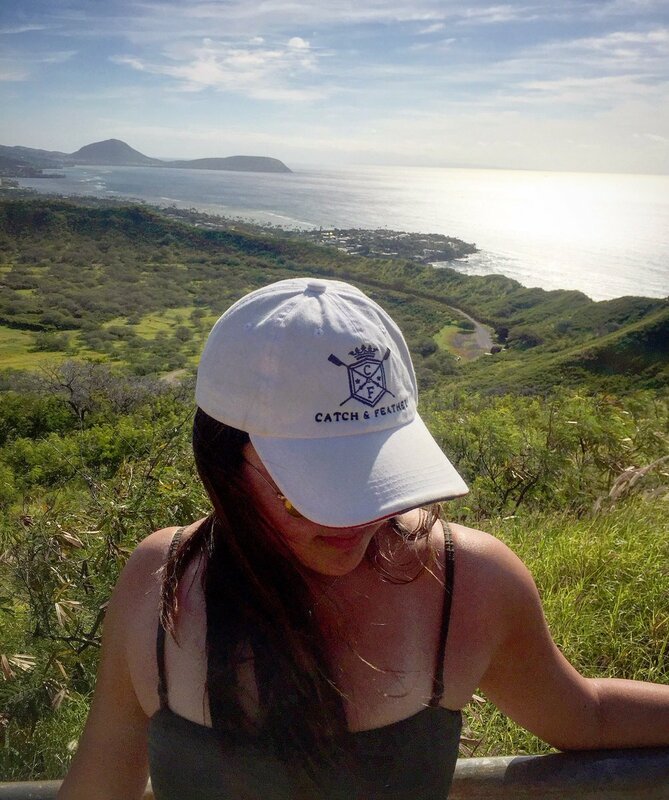 It supports its athletes far beyond the boat, and everyone works together to give anyone — no matter their circumstance — the opportunity to experience the incomparable community that is rowing. Alumni can row competitively without cost in the masters programs, and masters often help with youth and adaptive programs through volunteering and workshops. 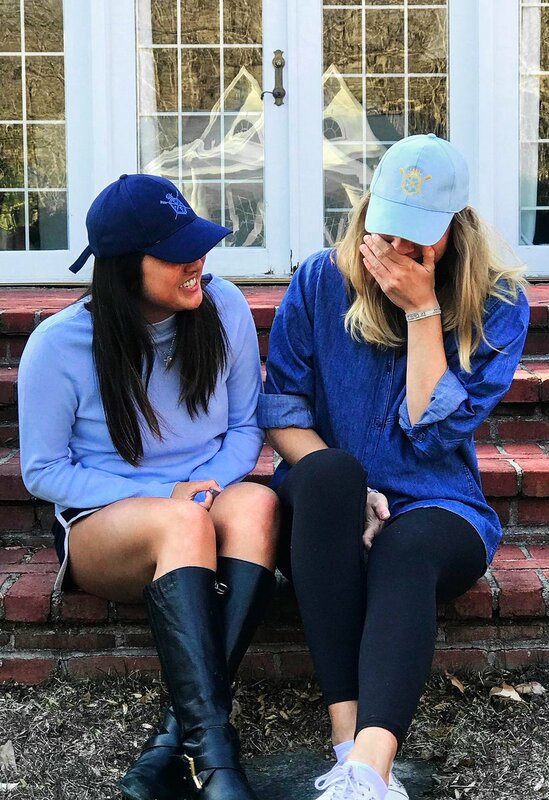 Career panels, mentorships, and organization-wide regattas bring together athletes of different ages and abilities for a completely unique bonding experience. 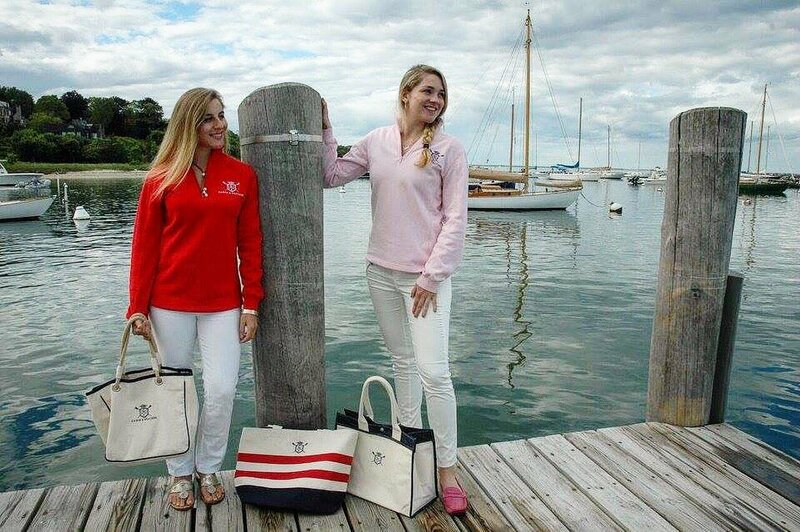 Looking to the future, Row New York has plans for growth and expansion, with more boathouses and more opportunities for outreach. In the coming years, they will “keep pulling forward to push ahead”. 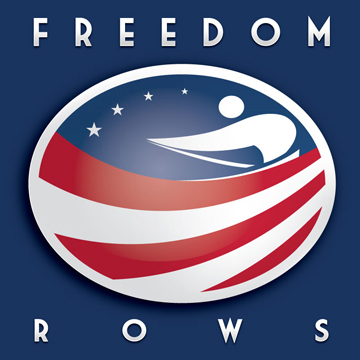 We are happy to continue our partnership with USRowing with a recent donation to FREEDOM ROWS , a program designed to change the lives of injured veterans and members of the armed services through rowing. Freedom Rows began in November 2014 with a grant from the Veterans Administration (VA) and has been met with tremendous success to date. Since its inception, USRowing has partnered with seven VA medical therapy programs and has effectively changed the lives of more than 200 of our country’s heroes through the power of rowing. says Debbie Arenberg, Adaptive Programs Development Specialist at US Rowing. “We have a couple of veterans who have actually gotten off their PTSD medication as a result of rowing.” she continued. 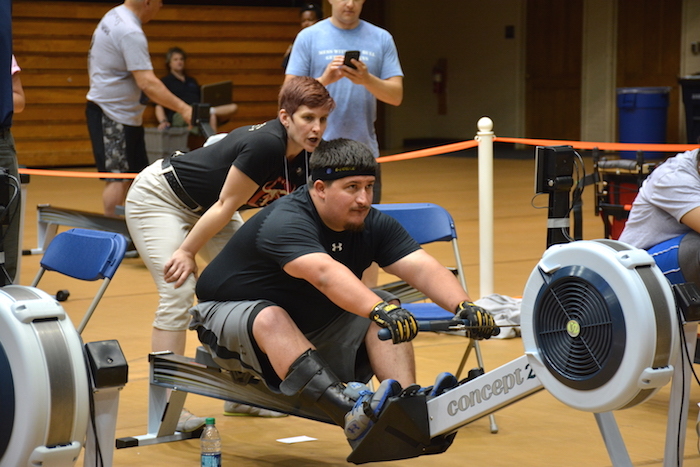 There are obvious physical benefits to adaptive rowing for wounded veterans. Studies show that rowing can help increase lower extremity bone mass, aerobic capacity, and blood lipid profiles. Some hospitals have partnered with rowing clubs to bring specific types of adaptive rowing to wounded veterans. For example, Spaulding Research Hospital has partnered with Community Rowing Inc. in Boston to bring Functional Electrical Stimulation (FES) rowing to individuals with Spinal Cord Injury. FES is a technology that allows paralyzed muscles to contribute to whole body exercise. 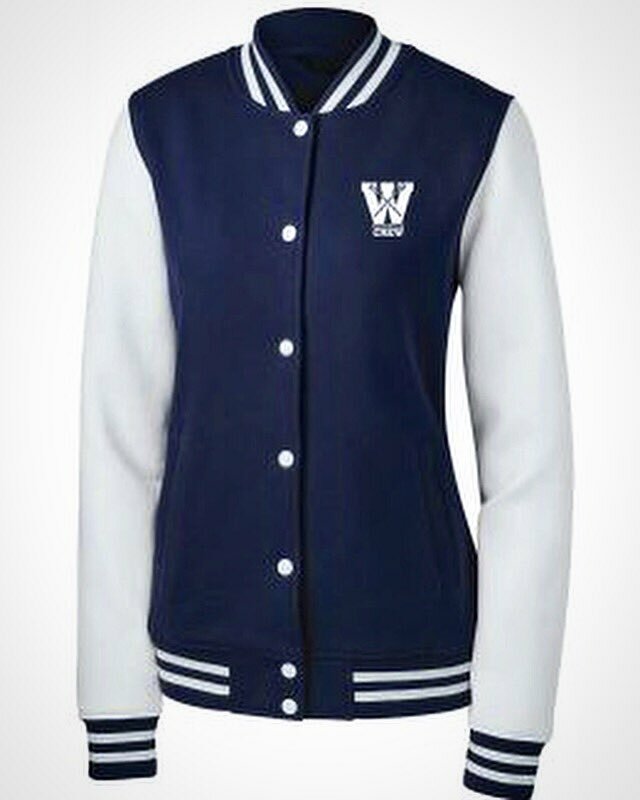 including disadvantaged youth, athletes with disabilities, and people looking for a community. 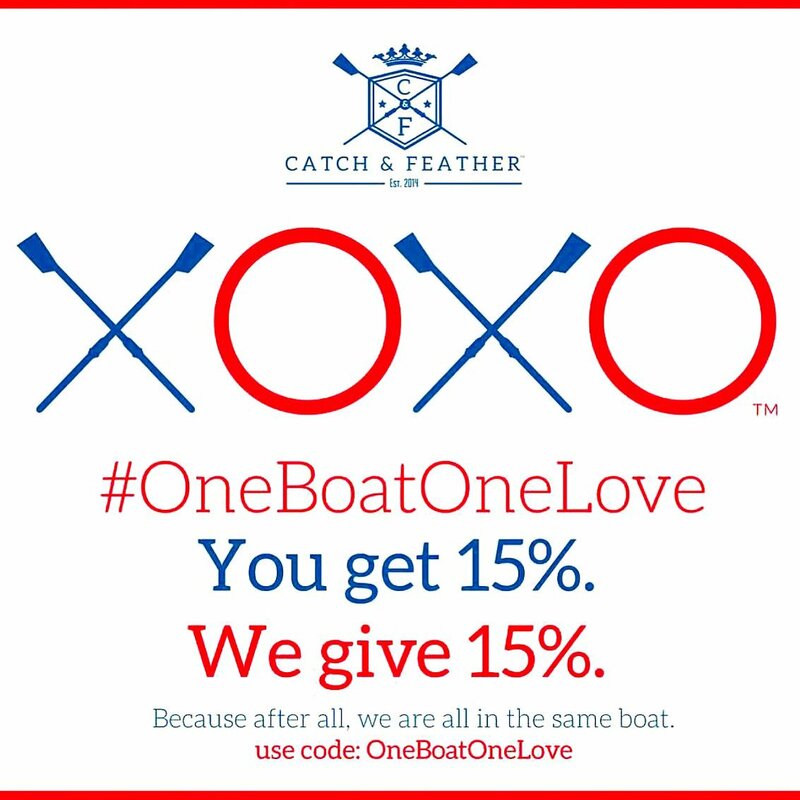 At Catch & Feather, we believe that everyone should have the freedom to experience the transformative power of rowing, and applaud Freedom Rows for giving veterans an opportunity to get into the boat! Rowing develops confidence, dedication, and passion in its participants. However, rowing can often be a selective sport because it requires expensive equipment, strong swimming abilities, pricey travel, entry fees, and a body of water, which some people do not have access to. Still, we believe that everyone should have the opportunity to experience the exhilaration of rowing. The Horizons Summer Program agrees with us, and they are making it their mission to give campers the rush of wielding an oar. Horizons is a summer camp based out of Greens Farms Academy in Connecticut. The program fosters academic and personal growth for children in grades K-12 from underserved areas of Bridgeport. 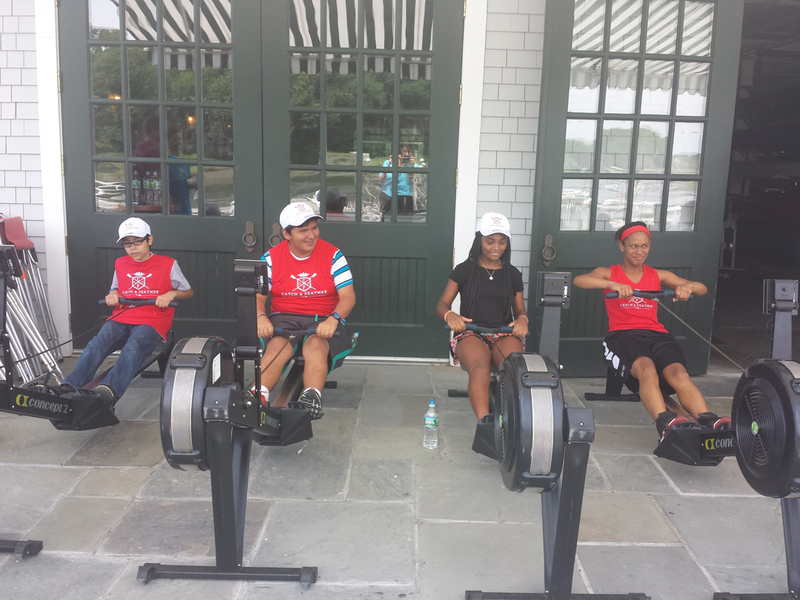 This year, the rising high schoolers get the chance to try out rowing for the first time. All rising 9th graders have the opportunity to participate, and this year’s group includes 8 boy and 8 girls. The campers can be seen rowing with their high-vis shirts out of Saugatuck Rowing Club. We love seeing the campers out on the river right outside our office. The smiles are contagious! 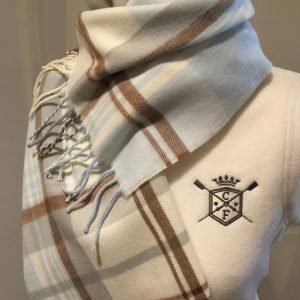 Catch & Feather on USRowing.org! 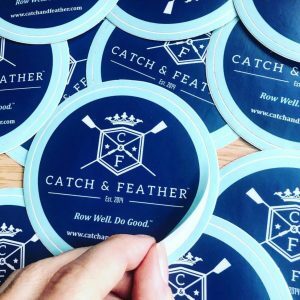 We are so incredibly grateful and humbled by the article on Catch & Feather on the new USRowing.org site! 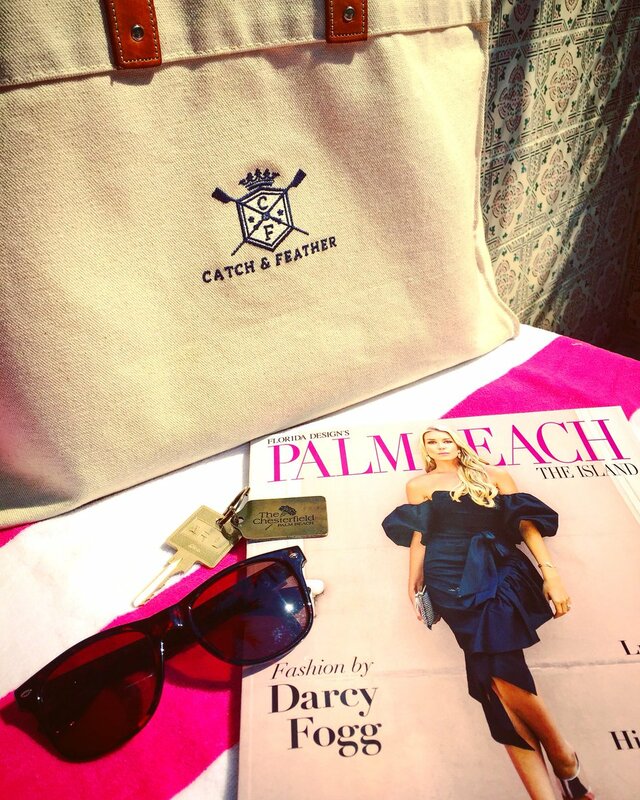 Special thanks to Richard Butler and Sarah Marshall for featuring our fledgling brand and supporting our “Row Well. Do Good.” mission! When USRowing hired Richard Butler in 2010, they gave him a single directive: figure out how a 135 year-old organization could become more diverse, and why it was not. Five years ago, the membership of USRowing was 98.7% white. Today, thanks to US Rowing’s America Rows program, the boat is a lot more diverse than it was back then, and everyone is happier for it. You can hear the passion in Richard’s voice when he speaks of breaking down barriers in a centuries old sport. Richard points out that nearly 60% of African American children cannot swim. Most rowers grew up jumping off docks or swimming at their local pool and can’t imagine that it would be like to not have this basic skill. “If you can’t swim, you can’t row. That’s our rules. So we needed to address that barrier,” Richard said. By offering swim lessons to new rowers, the sport is becoming not only more equitable for all, but teaching non-swimmers a life skill that they will value for life and pass on to their families. As a result, America Rows began visiting middle schools around the country, bringing ten ergs to middle school gyms full of kids who had never seen one of these machines before. The first visit was to the Los Angeles school district, to an all-female middle school with a significant Hispanic population. Many of the girls did not know how to swim and would not be able to afford to row, and had certainly never seen an erg before. 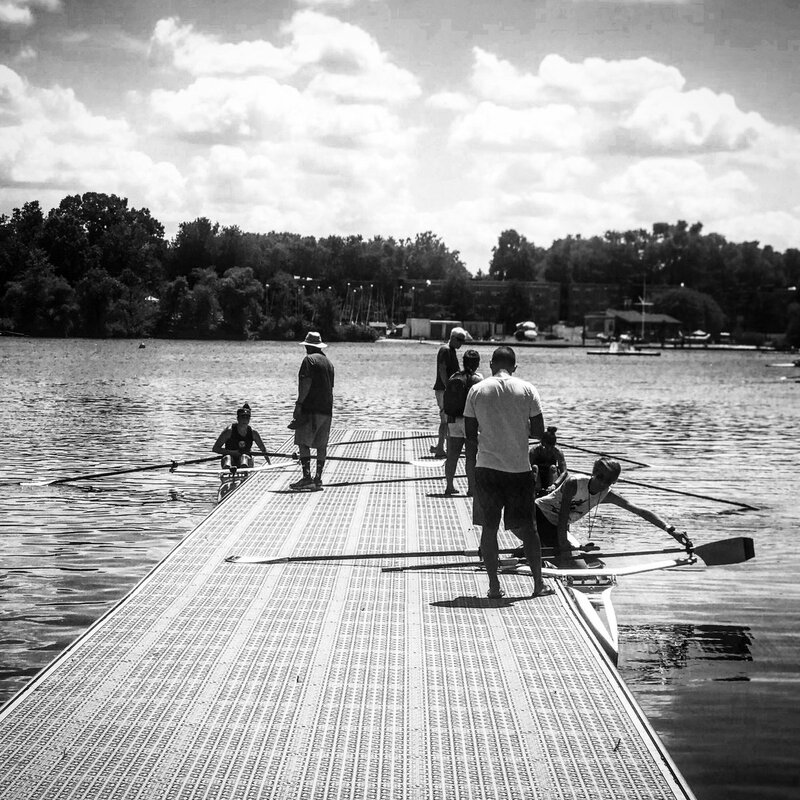 “If you have never been exposed to rowing, no one is good…. The machine’s novelty excited them, and since everyone was a novice, the sport did not seem as intimidating as the ones played in gym class. Richard cites this as a major factor in creating new rowers. “If you have never been exposed to rowing, no one is good….it’s a fair, level playing field.” The program was an immediate success. Chances are that your first time on an erg was in middle school, right? If so, you join thousands of young people across the country who experienced the joy of rowing as middle schoolers, igniting a passion to take it further and head out on the water. One of the best effects of the middle school program was that students who had never identified as athletes before were experiencing a transformation.“It’s simple. You take ten ergs and rotate them from school to school. You suddenly have entire schools of kids thinking that they are rowers just because they are on ergs,” Richard said. As a result, America Rows started a grant program, where local rowing clubs could apply for funding to send qualifying athletes to national tryouts. 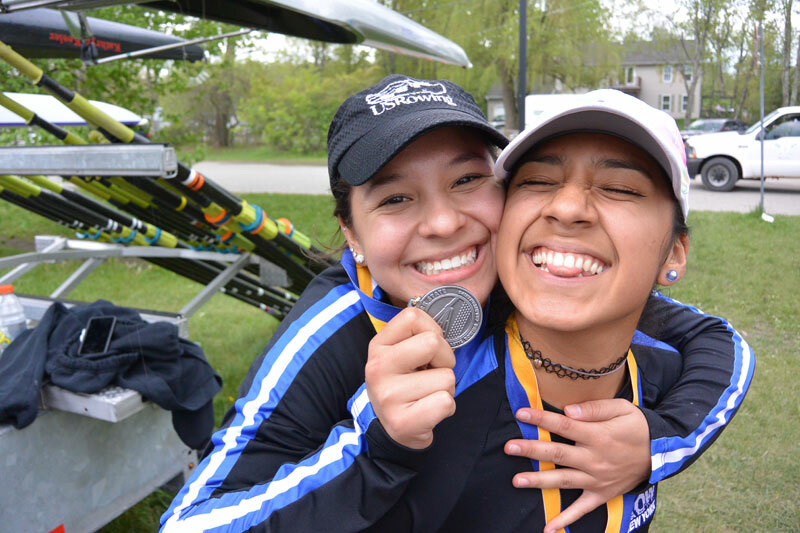 The grants allow youth athletes from underserved areas the opportunity to participate in high-level youth rowing competitions, ones that they would not normally be able to afford due to the cost of travel, lodging and fees associated with competing at the championship level. As of this month, five America Rows programs have been awarded grants totaling $15,000 that will fund athletes from those organizations to travel and compete at their respective USRowing Youth National Championships qualification regattas this month. The clubs receiving funding include Row New York, RowLA, Baltimore Rowing Club, America Rows and Swims Newburgh and Chicago Rowing Foundation. 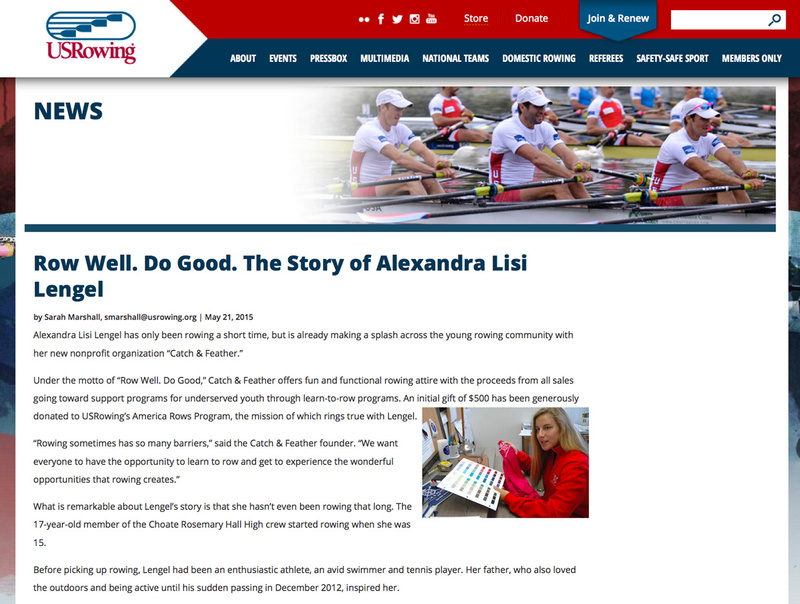 When America Rows began, there were 5 rowing programs specifically dedicated to community outreach. Today, there are 38 America Rows affiliates focused on increasing diversity in the sport and sponsoring minority students to compete at the national level. 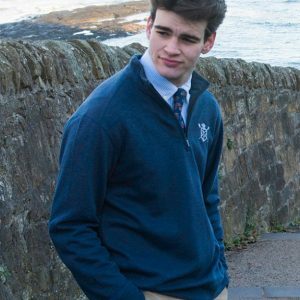 We hope we are sitting next to him at that regatta, enjoying the view.